Delaware safety Ray Jones works through blockers in Saturday’s playoff game against James Madison. Delaware football took a major step this season by making the playoffs, a feat they haven’t accomplished in eight years. While the Blue Hens ended their season where they knew they could and should get to, they still have miles to go to solidify who they really are as a team. Head Coach Danny Rocco called last season a “rebuilding year,” which made sense with it being his first year at Delaware and the team in need of many changes. This season, Delaware is graduating a large senior class, including eight defensive players — the entire secondary and three linebackers — and seven players on offense, including go-to wide receivers Joe Walker and Vinny Papale and tight end Charles Scarff. And although this offseason and next year may not necessarily be a rebuilding year, there will certainly be spots to fill, questions that arise and areas that need much improvement. A consistent problem for Delaware seems to be that defense and offense are rarely on the same page, something that was obvious in its final game of the season against James Madison. Delaware’s defense was able to hold James Madison’s crafty and creative offense — No. 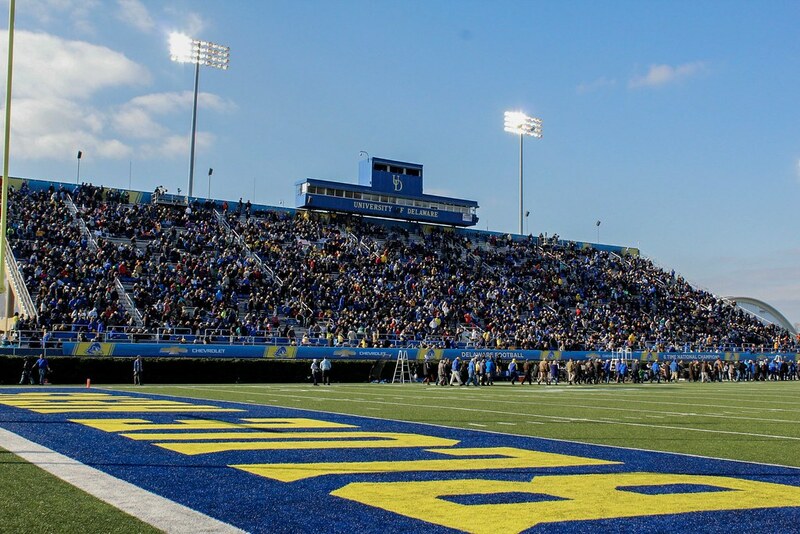 1 in the CAA — to only 20 points, giving the Blue Hens comfortable room to make a play and get a touchdown, something that wasn’t seen once in their final game. Going into next season it’s obvious that a high priority during the offseason will be basically remaking the offense to continue to shift into the higher standards Delaware football is holding themselves too. Delaware’s defense had games where they fell short as well such as the Blue Hens’ comeback 40-36 win against Towson and their 42-21 loss against Villanova where defensive stops couldn’t be made. In those games, while the offense still had their glitches, they came out and did their job compared to their lack of showing up against JMU — concurrency being absent among the defense and offense. 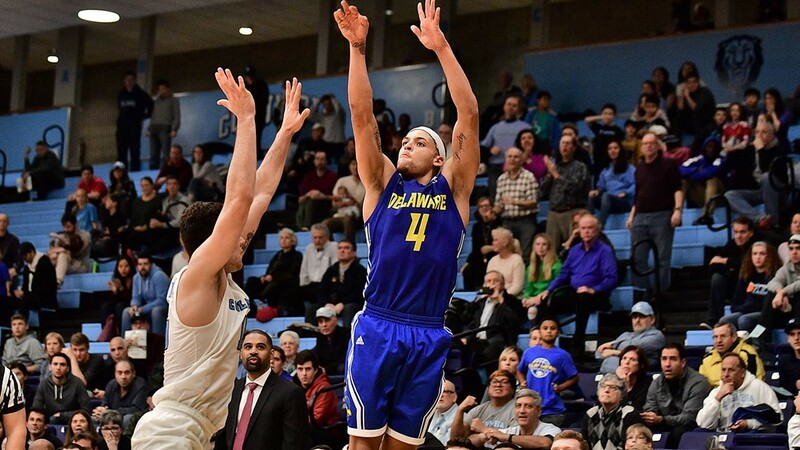 Delaware went into the playoffs coming off of a two-game losing streak after winning five straight CAA games. 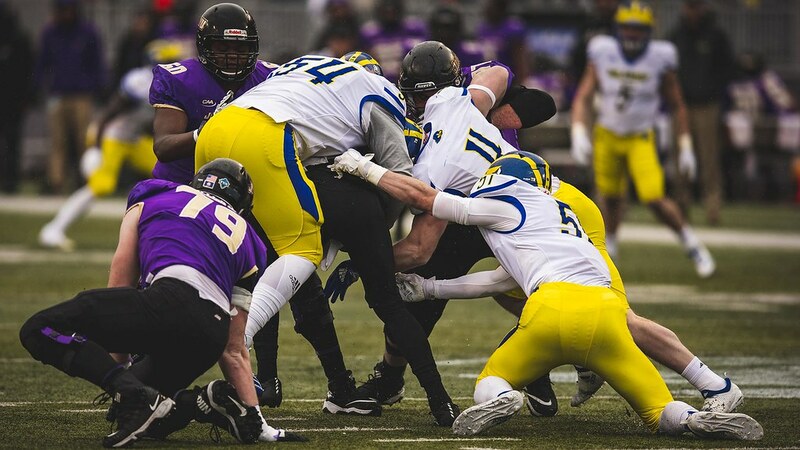 They made it with a 7-4 record — a record that never guarantees a playoff spot and also the same record that Delaware finished with last season when they missed out on the playoffs. They got to where they should have, but not with flying colors. It’s easy for me to ramble off improvements that need to be made and questions that I, and many others, may have. And although there are concerns and wonders, Delaware did and is making strides and they made a great one this year. This offseason should be filled with recruiting, changes and excitement — specifically gaining a clear offensive picture along with the mentality of bettering their record and continuing playoff appearances. The Blue Hens have the opportunity to make all of that happen now. I think this is a great article summing up where UD needs to imorove and the strides they’ve made this season. Great work!